Faced with processing more than 63,000 orders each year, the Manitoba Liquor Control Commission turned to Aldata’s merchandizing optimization and demand-based replenishment. Unwilling to gamble on warehouse operations, slot machine manufacturer Bally Technologies invested in a sure thing: a new WMS and data collection hardware. Athletic equipment manufacturer Easton-Bell Sports scores big airfreight savings with an assist from UltraShip's transportation management system. Chemical manufacturer Celanese experiments with a formula for solving its inventory woes. Automated routing helps Scholastic Book Fairs turn the page on inefficiency..
Sherwin-Williams' private fleet integrates its dispatch system with PeopleNet to brush up on efficiency. A high-powered search tool steers Harris Corporation's engineers through immense volumes of data to locate top-value product components. Armed with a powerful visibility tool, Continental Tire North America keeps watch over its trailers. An analysis tool helps put the squeeze on transportation costs. A holiday lights manufacturer takes a shine to its new export management system. A tissue manufacturer wipes up excess costs with load optimization software. Imperial Sugar spices up its supply chain by leasing pallets with the smarts to tell where they've been and where they're headed. Fun fashion accessory firm wraps its data in a sharp new software ensemble. Bon-Ton gets extra mileage from its transportation management system by linking it to a vendor compliance system. By automating and reorganizing its warehouse, Red-L Distributors cuts costs and creates a cleaner, safer, less frantic work environment. Arrow aims at One Network's platform to recharge its automated replenishment program, and hits the customer service bull's eye. Taking its cue from the Q system, Guitar Center's forecasts and inventory allocation now make beautiful music together. HVACR wholesaler heats up efficiency with a cool electronic invoicing system. Tired of playing hide and seek with its containers, CIMC finds a new RFID system to help locate product in its yards. Raising the heat on worker productivity and efficiency was key for Four Seasons Temperature Control. A labor management system helped it achieve that—plus some cool savings. When The Henry Wine Group uncorks a new logistics system, accurate inbound freight updates and improved communication pour out. Migrating to a single technology platform and translating SAP transactions onto handheld terminals were high on Wawa's IT shopping list. It checked off both with SAP. Snowboarding gear manufacturer Burton bails on its freestyle WIP reports and launches a visibility suite that sticks. 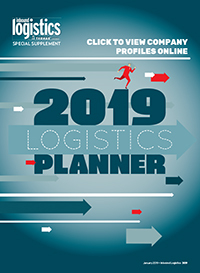 A networked WMS sparks Eaton Corp.'s electrical business with a broad view of inventory and more opportunities to aggregate freight. Vendor/Carrier Accountability: We'll Drink to That! A beverage distributor's thirst for visibility is quenched by a tool that sets delivery performance standards and makes sure they're met. Krispy Kreme finds sweet savings in streamlining financial and supply chain transactions with EDI. Specialized shipping and global trade software complements Speedline Technologies' slowing ERP system. SAP's global trade solution is the right medicine for Bayer, helping it centralize, standardize, and further automate international trade activities. SuperValu derives super value from a product data synchronization initiative. A mission to improve demand planning and customer service led European manufacturer Tenaris to embrace new technology and a new mindset. Tired of dealing manually with vendor shipping violations, aftermarket auto chain Pep Boys shifts to an automated compliance system to steer suppliers in the right direction. Drowning in a sea of manual invoices, flooring supplier Mohawk Industries turns to electronic invoicing. Now, when it comes to paying suppliers quickly and accurately, Mohawk mops up. To comply with a Florida regulation for tracking pharmaceuticals through the supply chain, wholesale distributor H.D. Smith implements an electronic pedigree solution. Vehicle location technology helps a foodservice supplier feed hungry customers, and a truck leasing firm feed customers hungry for information. A wood panel maker goes against the grain, replacing numerous, mismatched systems with an integrated ERP and SCM suite. Kawasaki shifts to a 'multi-enterprise' SCM system to rev up product flow and keep dealers and customers humming. A demand forecasting methodology that blends input from multiple sources is the right formula for one chemical manufacturer. An import management system helps chemical distributor Biddle Sawyer navigate in the wake of Hurricane Katrina. King County Metro Transit was missing the bus, using an outdated system to distribute its 12 million transit schedules. The fix? A new WMS, advanced mobile technology, and additional warehouse equipment. A web-based railcar monitoring service helps American Gypsum keep freight on track. A fleet-tracking system gives Brookshire Brothers tighter control over fuel costs, driver payments, and store deliveries. An ATP solution helps integrated circuits manufacturer more consistently make good on commitments to customers. For Ballantine Produce Co., the time is ripe to make a significant move to radio frequency identification (RFID). Leg Avenue jumps feet first into demand forecasting and warehouse management systems to meet demand for its provocative Halloween costumes. Finding third-party middleware an ill fit, chemical coatings manufacturer Colorcon selects software for remote data collection devices that tightly integrates with its Oracle system. An online trading platform for liquidating and sourcing electronic components has laser manufacturer beaming with delight. Milk processor Milnot takes control of inventory with an ERP system designed for process manufacturers. 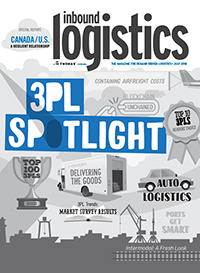 A web-based logistics solution helps retailers satisfy customers with tight delivery windows. New software module gives parts distributor an accurate picture of inventory it consigns to suppliers. An upgraded shipping system nets faster turnaround, fewer mistakes, and a boost in revenues for American Biophysics. Optimization and visibility software keeps materials and parts moving quickly from crossdock to Steelcase production lines. Purchasing management software helps a Caterpillar dealer recover parts costs and make more profitable sourcing decisions. Pacejet gives manufacturers and distributors a more commanding view of their operations, plus the tools to act on what they see. With real-time analysis to complement its long-range system, Campbell stirs up a recipe for demand-planning success. A materials management system gives Army depot and its partners a better view of parts used to rebuild M1A1 Abrams tanks. 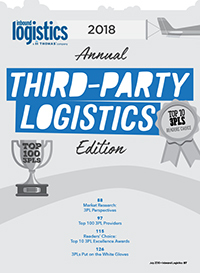 One 3PL offers software and technology services to companies that run their own supply chains. Using Web Forms, no player is too small for electronic commerce. TradeBeam takes a well-rounded approach to international trade. New software helps companies systematically match inventory to fluctuating customer demand. Using combinatorial optimization, DuPont finds further ways to save on transportation. RFID tags help pubs stay stocked with popular brews. Collaborative sourcing management steers Bell Sports toward greater control over its brands. Adjust-it-yourself supply chain software helps a fast-growing retail chain bend the rules. Zedent's ERP system aims to help distributors win top grades for customer service. Seeking a WMS system to help manage expected growth, Mountain Hardwear found a solution tailored to its size and needs. By adjusting inventory levels automatically every day, Enterasys streamlines its service parts depots. Food service distributor MBM Corp. finds a base for building tighter relationships with vendors and offering value-added services to customers. Ingersoll-Rand scopes out the full cost of sourcing from different overseas suppliers. Web-based RFI, RFP and powerful analytic tools help Unilever HPC revamp its transport strategy. An in-house supply chain modeling system helps Henkel Consumer Adhesives react quicly to change. Speech technology developers cook up a new recipe for web applications. Two electronic trading networks help Toshiba win prime-level service and attractive rates from contract carriers. Cray Inc. takes the guesstimation out of managing its stock of spare parts. To support an improved sales and distribution model, PepsiAmericas swaps old handhelds for advanced mobile computing technology. Nistevo's network-based TMS gains punch as it attracts more shippers and carriers. Forecasting and planning software helps companies match inventories to customers' future demands. A new supply chain tool promises a broader and more detailed view of inventory. Rand McNally barrels ahead with new mileage and route optimization tools. SupplyWorks' Supplier Relationship Management solution promises closer, more profitable ties with vendors. A pallet-leasing firm uses RFID technology to monitor equipment so customers can track shipments through the supply chain. 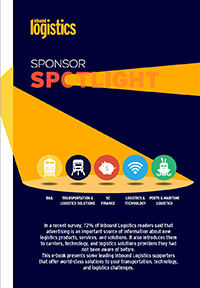 A web-based TMS looks at inbound and outbound, within and beyond the enterprise, for opportunities to optimize freight. A new warehouse management system sends game maker's goods flying to retail stores. International trade software improves data access, creates better audit trails, and flags shipment-stopping errors before they cause delays. Online Routing Guides: Who Wants Yesterday's Paper? Double Click: a web-based service offers do-it-yourself optimization and 3PL support. Custom-tailored software cuts transport costs by thousands of dollars a month for a leading luggage manufacturer. With location-based software, a quick look yields a wealth of knowledge. Can a dot.com company take complexity and cost out of supply chain management? SupplyLinks says it can. Looking to connect seamlessly with all your trading partners without investing in information technology? ECOutlook.com can help. ODW takes customers into the future by being flexible and implementing solutions that meet their needs. ACCUSHIP may come closest to providing a single-source solution for managing motor freight on the web. Palm Inc. partners with freightquote.com to provide on-the-go bidding, scheduling, and shipment tracking. Sometimes, accessible information is more important than automated processes. Vertical dot.coms make it easy, economical, and expedient to recruit logistics professionals. iLink Global acts as a logistics bodyguard for e-commerce fulfillment of rare collectibles and fine art purchases. The Right Start Inc. has created a dynamic symbiotic relationship between its web site and physical storefronts, providing exceptional customer service for every potential sale. 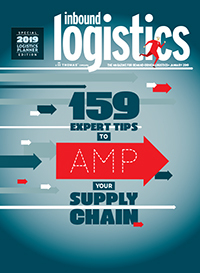 Here are several recent Logistics Information Technology solutions and newsworthy events. Anyone Can Sell on the Web, But Can You Deliver Worldwide? Through its GLS software, Syntra addresses the three significant areas of constraint that inevitably impede international trade—regulatory compliance, financials, and logistics management. Will E-Commerce Deliver Holiday Demand? A cornucopia of new logistics IT solutions offers much to be thankful for this holiday season. A total application service provider brings Internet-based, web-browser access to logistics management. Netscape's electronic commerce exchange software provides a transparent infrastructure to streamline supply chain networks. FedEx's ShipAPI leverages the internet, eliminating order errors and the need for middleman distribution. DHL Connect Automates the Processes Required to Transport and Track Global Shipments.